Alphacam Art and Vectric Aspire are NOT the same product with 2 different brand names. Alphacam Art is a specially-created version of Aspire that integrates with Alphacam. As technology licensed to Alphacam, Aspire retains the right to its brand placement and therefore includes its name foremost. This has caused some confusion since Alphacam markets the product as Alphacam Art to differentiate from Vectric Aspire (standalone version). 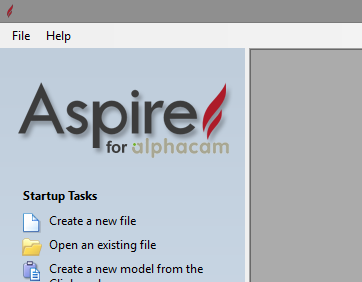 Even though the Alphacam Art splash screen indicates Aspire for Alphacam. Under either name, this is a different product with a different user in mind than the standalone version of Vectric Aspire. Alphacam Art uses the excellent Raster to Vector capabilities of Vectric Aspire as a secondary CAD frontend. This is married to Alphacam's world-class CAM capabilities to create an entirely unique and powerful way to create artwork, decorative panels, textured features and more from jpeg and other rasterized images on a CNC router. Alphacam Art is an add-on module to Alphacam. You must have Alphacam at one of the 4 levels (Ultimate, Advanced, Standard or Essential) to use Alphacam Art. Vectric Aspire is a standalone product that includes machining capabilty and does not require or communicate with Alphacam. Alphacam outputs either or both a drawing file or g-code. These can be simulated and run in many other software systems. 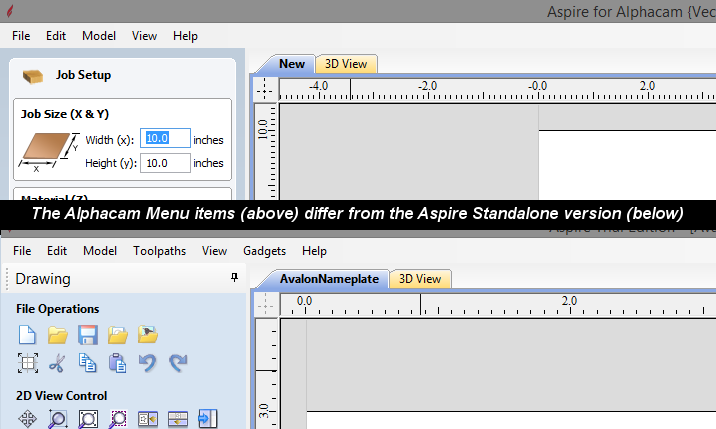 Aspire outputs either or both a drawing format file and a proprietary .iso file. The drawing format (geometry) file may be read by other systems but the .iso file may only be passed on to Aspire's propietary post processor and cannot be simulated by other systems (like Biesse Works). Alphacam Art is designed to provide only the drawing creation tools. All subsequent toolpaths and machining is provided by the more powerful Alphacam manufacturing environment. Alphacam Art is supported and maintained by Alphacam. This means live, realtime support by phone or email. 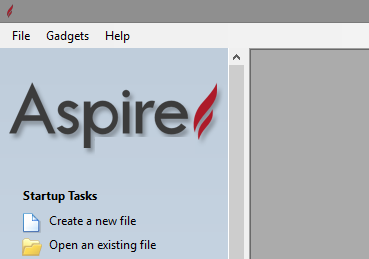 Aspire is web-interface only support. Alphacam post processor support is industry standard with technicians on staff who can edit and create unlimited post processors for virtually every CNC machine. Aspire has a limited selection of post processors available. Not every machine is covered. What are the benefits of Alphacam Art over the standalone Vectric Aspire version? Outputting through Alphacam allows the use of Alphacam's outstanding post-processor architecture which runs on virtually every CNC machine. Because Alphacam Art files are brought into Alphacam for machining processes, the file may be manipulted with all of Alphacam's powerful CAD editing tools. You can quickly rotate, reposition, copy, scale, stretch and skew any inserted geometries. Alphacam nesting, machining styles, 3D engraving processes and additional geometries may be applied. Alphacam Art geometries and surfaces may be brought into existing projects. You can create machined panels, for example, and insert Alphacam Art textured sufaces into them. This allows you to have a template-type drawing into which several optional decorative features may be added as different choices for your customers. Unmatched ability to use Alphacam's toolpath editing and sequencing tools on your Art project. Why does my Alphacam Art module lead me to Vectric Aspire web links? Vectric provides generic training support for their core products. The intention of these free tutorials is to provide self-directed learning for customers on the relevant aspects of their software package including Alphacam Art. Not all information applies to every product Vectric makes or licenses. The student is responsible for learning the applicable elements of these tutorials for the systems they have. Used in conjunction with accredited, live-teacher, Alphacam on-site or in-class training, training for Alphacam Art will provide the student a better understanding of the overall process of CNC machining. As a result, only the tutorials that refer to the drawing and geometry creation tools and menus are intended for the Alphacam user. All toolpath and machining information is covered in your Alphacam Introductory training. This training is equally applicable for Alphacam Art or Alphacam Router created geometries and surfaces. Can I get the toolpath tools in Alphacam Art? No. Alphacam Art is a separate program that is specifically ported to output geometries only for CAM processing in Alphacam. The toolpath tools in Standalone Aspire require a propietary post processor and create files that are not compatible with Alphacam. The powerful and flexible Alphacam toolpath creation environment and the Alphacam post processor adaptability to a vast number of CNC machines are the key benefits for using Alphacam Art over Vectric Aspire.